I don’t consider myself too fussy or sensitive when it comes to wearing clothes. 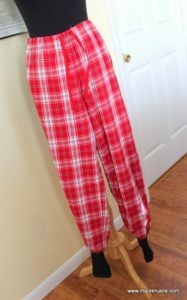 However, I do not like PJs that ride up to my knees in the middle of the night! Here’s a quick and easy fix for that problem. 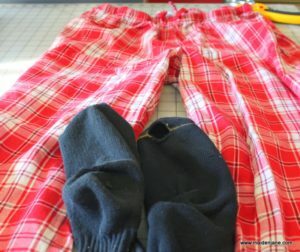 It’s not necessarily “pretty,” but it’s “practical!” All you need is your PJs and some socks with holes. 1. 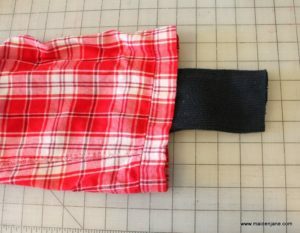 Cut off the cuff. 2. 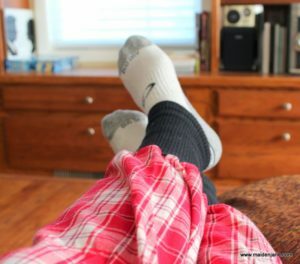 Turn the PJs inside out. 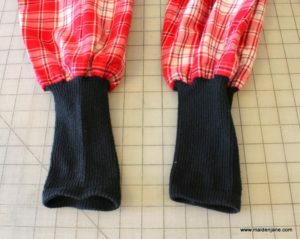 Place the “cuff” inside the pant leg – right sides together and cut edge aligned with the PJ leg opening. 3. 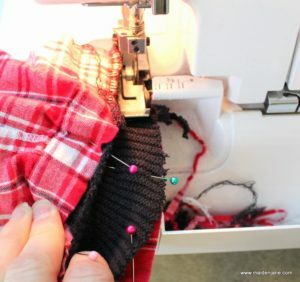 Stretch the sock and pin all the way around the leg. You may have to go around a couple times. 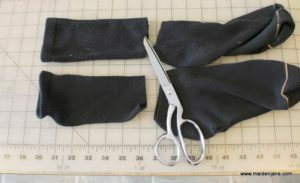 I was able to stretch the sock to fit my pant leg. 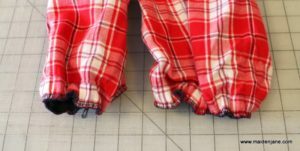 If your sock doesn’t stretch that far, then use several rows of gathering stitches on the PJ legs to gather in the fabric before attaching the sock. 4. 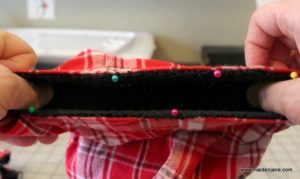 Serge or zig zag stitch along the edge. Press. 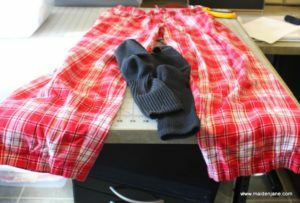 Now your PJs will stay put! 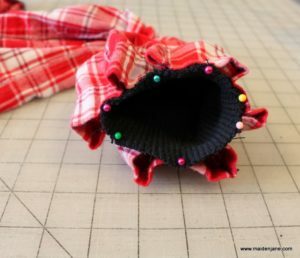 This tutorial is similar to my tutorial on How to Extend a Coat Sleeve. clever! I hear you about waking up to find a pj leg half way up your thigh!